TomTom Car Kit Is Now For Sale, Still Overpriced | OhGizmo! 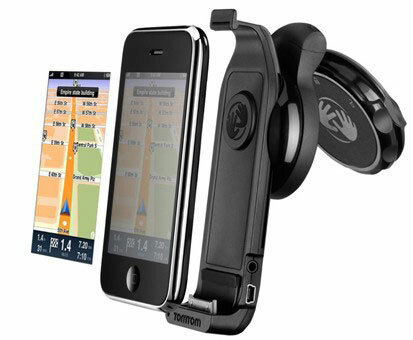 Remember that awesome TomTom iPhone car kit that we told you about not too long ago. Well if you’re one that loves to blow unnecessarily large amounts of money on something only moderately useful, you’re in luck. Apple has finally started carrying the overpriced cradle over at their store for the promised $120 price. Don’t hurt yourself in your excitement to order it and purchase the $99 app that goes with it. I think I can do with out. I'll wait for the movie to come out. this is rediculous. if they are going to charge 120 for this. the lease they could do is bundle it with the app for the same price. rediculous. Ahh, I see. So when I bought my garmin, a large portion of the price went towards the cradle. I recently bought a TomTom for $120. I'm not really sure why they think people will be willing to pay nearly twice that just to use their iPhone instead of having a separate device.